THE trend changes for the better as blind support for the EPO is ending. People now realise just how rotten the EPO has become and there are various actions being taken by the public and even EPO staff (more on that in the coming weeks). Quite importantly, evidence is now coming to light so as to bolster the stories we have broken over the past few months. The latest Croatian press article on this topic (of Topić), published by tjedno.hr on the 18th of October 2014, says quite a mouthful. Our sources have been working on getting an English translation which we now have. The photo in the article shows Topić on his way to attend a recent hearing at the Municipal Criminal Court in Zagreb and the last paragraph contains a mention of “articles published on Internet portals across Europe during the last month,” which our sources understand to be a reference to the recent series of publications by Techrights. According to publicly available information, “Master” Željko Topić, was appointed as Vice-President in charge of the EPO’s General Administration Department on 28 March 2012 with the vigorous support of the EPO President, Benoît Battistelli. At the time of his appointment, it is claimed that neither the EPO’s Administrative Council nor its President Battistelli were informed about certain interesting facts which have emerged in relation to Mr. Topić. Nevertheless, according to an official statement by the EPO President, after the charges had become publicly known they were all clarified. Judging by the published photograph of Željko Topić accompanied by his lawyer from the Zagreb law firm Gajski – Prka – Saucha & Partners Ltd. which was taken in front of the Municipal Criminal Court in Zagreb on the morning of 29 September 2014, it would appear that things are not quite so clear. In one of his recent public statements, published in May 2014 by a Geneva-based Internet portal specializing in intellectual property matters (www.ip-watch.org), “Master” Topić officially declared that there were no legal proceedings or criminal charges pending against him in Croatia. At the same time he claimed that he had presented the EPO with the required certificate of good conduct confirming there are no criminal convictions against him. Mr. Topić’s statements are, however, misleading for his employer. From the foregoing, it can be concluded that for whatever reason Željko Topić has grossly deceived his European employer in Munich by knowingly giving false information designed to obscure the truth. We do not know how Željko Topić justified his absence from his workplace at the EPO in Munich on the day when he was caught by the photographic lens in Zagreb. We can only speculate as to whether he decided to take annual leave, sick leave or whether he may even have misled his employer perhaps by deliberately submitting a duty travel request for an official business trip to a meeting in Zagreb financed by EPO, knowing full well that his attendance was required at the Municipal Criminal Court. Judging by his publicly expressed claims that he is not subject to any criminal proceedings in Croatia, it is difficult to avoid the impression that he may have been economical with the truth concerning the real reasons for spending time in Zagreb on the Monday in question. Or, perhaps, he relied on the concept and plot of the movie “When Father Was Away on Business” by the famous director Emir Kusturica. For the time being we have no idea what the Municipal State Attorney General in Zagreb, Željka Pokupec, thinks about all this as she has been busy dealing with another matter falling under her jurisdiction, namely bringing a final indictment for the illegal procurement of a VW Touareg V6 against the person directly responsible for the supervision of the State Intellectual Property Office (SIPO), Mr. Dragan Primorac, one of Ministers in the then Government of Mr. Sanader. In connection with criminal charges filed with Office of the State Attorney, a reasonable suspicion was expressed in the criminal complaint to the Bureau for Combating Corruption and Organized Crime (USKOK) in Zagreb that Željko Topić may have bribed the former Minister Primorac with an Audi A6 vehicle in order to secure the renewal of his mandate as Director of the SIPO. In the course of this state-funded “re-parking” of official cars, Željko Topić “re-parked” a Mercedes for his own personal use as has been previously reported on by many media. The aforementioned and third pending criminal charge against Topić in the Mercedes case, has been gathering dust for several years on the desk of Željka Pokupec’s deputy, Sunčica Blažević. The fourth known criminal charge against “Master” Topic which has been filed with the District Attorney’s Office in Zagreb has proceeded from the stage of “pickling” into the “fermentation” phase and is currently in the hands of Sineva Vukušić. The criminal charges filed with the District Attorney’s Office in Zagreb relate to the matter of allegedly unlawful changes to the structure of the state administration in the field of Copyright and Related Rights. Under the Criminal Code of the Republic of Croatia, the charges against Željko Topić in this particular case carry a maximum possible sentence of five years in prison. 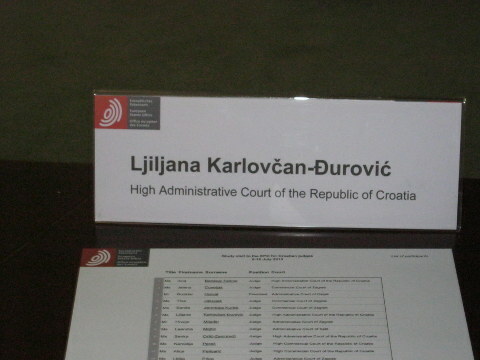 According to the latest information from the state administration of the Republic of Croatia, a preliminary investigation has been conducted into another potentially very serious criminal case dating from 2005 which concerns the “disappearance” of a significant amount of financial assets and which involves a feasibility study from a Swedish* foundation relating to the strengthening of institutions entitled “A Feasibility Study for Restructuring the SIPO as a Self-Financing Organization”. We have learnt unofficially that this appears to have been an attempt at project financing for the private advantage of the former SIPO Director with the ultimate aim of separating this institution from the Treasury of the State Administration and attaching it directly to the financial “udder” provided by the WIPO and EPO. All those who have seen the document referring to the planned privatization of the SIPO under the direction of Željko Topić have noted its similarity to the HDS-ZAMP scheme of President Ivo Josipović. This document is currently being withheld by four Ministries of the Republic of Croatia which are said to be ignoring written requests for its release [under the Freedom of Information Act]. Thus, along with two further criminal charges against Topić by private plaintiffs, there are at least six criminal proceedings pending against him in Croatia as our portal has already reported. However, according to other sources, the number of criminal charges which have been filed against “Master” Topić may in fact be significantly higher. As we learned from our sources in Munich, Topić’s suitability for the office of Vice-President is “a fairly contentious issue” within the EPO. Taking into account various outstanding allegations and apparently uncontested newspaper reports, the general opinion of EPO staff is that there are many unanswered questions about Topic’s appointment. As we learned unofficially, EPO employees are also extremely frustrated about the situation because they feel that there is no adequate official response and they believe that “some kind of independent investigation” is required. 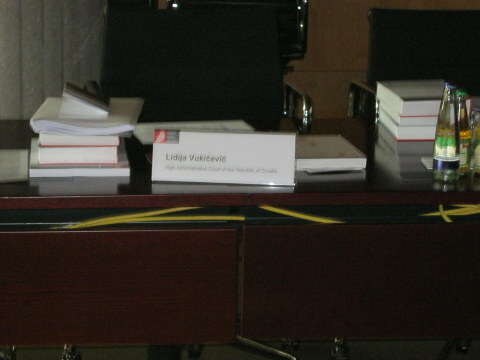 The EPO’s Administrative Council has remained completely silent until now and has taken no official position with regard to Topić’s case, which is very strange because it carries direct responsibility for the appointment and it is also the sole official EPO body which is competent to carry out investigations and disciplinary proceedings against the President and Vice-Presidents. In addition, the relationship between staff and senior management of the European Patent Office (EPO) which has already been badly strained due to conflict with the President Benoît Battstelli, has been further complicated by the continuing presence of Vice-President Topić in Munich. In the meantime the controversy about Topić’s suitability for his current position has also reached the European Court of Human Rights (ECtHR) in Strasbourg and the Croatian NGO Juris Protecta (Association for the Promotion of the Rule of Law) has filed a petition with the European Parliament in Brussels. Furthermore, it has emerged that when his first term of office as SIPO Director was due to expire in 2008, Topić had allegedly been involved in a number of unlawful actions leading to the expectation that his mandate would not be renewed. Professional experts close to the case claim that Željko Topić should not have been reappointed because of previously observed “irregularities” in his management of the SIPO. However, the relevant information appears to have been suppressed and was not properly taken into account, because if it had been, it would have resulted in him being deemed ineligible for public office in the Republic of Croatia and beyond. Allegedly unlawful actions during his two terms of office as Director of the SIPO in Zagreb have never been fully and transparently investigated, and the Croatian Government appears not to have been duly informed in accordance with the statutory requirements. His penultimate term of office at the SIPO was renewed by the former “anti-corruption” Prime Minister of Croatia, Ms. Jadranka Kosor, despite the fact that before signing the decision of her Government to re-appoint “Master” Topić she had been warned about his allegedly corrupt practices. Moreover, during the term of office of the convicted former Prime Minister Ivo Sanader, Jadranka Kosor had served as the Minister in charge of the government department responsible for supervising the SIPO and its former Director, Željko Topić. WAS MINISTER JOVANOVIĆ SACKED BECAUSE OF TOPIĆ? Using the same corrupt templates as Sanader’s government, the final disputed re-appointment of “Master” Topić as Director of the SIPO was approved by the Government of Zoran Milanović [in 2012] on the recommendation of the then competent Minister, Željko Jovanović. Moreover, the official procedure relating to his final re-appointment as Director of the SIPO was tainted by a series of deliberate legal deficiencies and unlawful acts and a lack of proper institutional supervision. Based on the limited information available from government circles, there are reasonable grounds for suspecting that the “Topić Affair” may have been one of the factors which contributed to the recent dismissal of the outspoken Minister Željko Jovanović. It can be concluded from the above that the HDZ and SDP have been playing the same long-standing personnel game in the civil service using the same deck of previously “marked” cards. Whether by coincidence or not, the chef de cabinet of the Croatian Prime Minister – Tomislav Saucha – is the husband of one of the attorneys from the law firm of Gajski – Prka – Saucha and Partners Ltd. which represents Željko Topić in the pending criminal lawsuits in which he is involved. In addition to this detail, it is worth noting that an official of the Croatian Government – Mr. Milan Sentić, adviser to the Prime Minister for Co-operation with the Public – comes under the direct remit of Tomislav Saucha. Mr. Sentić would hardly have merited any attention here if it hadn’t been recently discovered that, instead of having been duly forwarded to the Prime Minister Milanović, citizens’ complaints concerning the case of Željko Topić have remained buried somewhere in the filing cabinet of this government advisor. It seems that the only person competent to determine whether or not the petitions against “Master” Željko Topić were hidden by Mr. Sentić on the orders of Tomislav Saucha (perhaps in response to verbal instructions coming from his wife – a lawyer on the team of legal “avengers” which represents the Munich-based “Master”) is the Prime Minister Zoran Milanović himself. To conclude, the actions of Željko Topić referred to above appear to fulfil the definition of criminal acts under Croatian law. Who – and for what motive – has been successfully preventing his prosecution in Croatia for many years now? Answers to these serious and unresolved questions will hopefully be provided in the near future by some of the high-level EU institutions as has been suggested by numerous articles published on Internet portals across Europe during the last month. The reason, according to “No Corruption”, is that “Journalist Zeljko Peratović and corrupted Željko Topić was represented by attorney Mr. Janjko Grlic. “There is a serious doubt that Mr. Željko Topić by the means of his lawyer Mr. Janjko Grlic had influence on his other client, journalist Zeljko Peratovic to delete (remove) the previously published article from the portal he is editing. There also remains a doubt with a very clear closed circle of indications that for the job of removing the article from the portal he received money, or a service of some kind in the form of past or future legal services by Mr. Janjko Grlic which were paid for by Mr. Zeljko Topic. The above-described actions can be considered corruptive, meaning it is a criminal offense. “Given that this mentioned member of the Croatian Journalists’ Association is also a member of other international journalists’ associations, we are sending this letter to them as well because we believe that he should be dismissed from the ranks of professional journalists. At the same time we will ask for the whole of the EU and worldwide journalistic profession to be informed about this. It is interesting that Mr. Zeljko Peratovic in his work as a journalist presents himself as a great fighter for human rights and as an anti-corruption activist!? 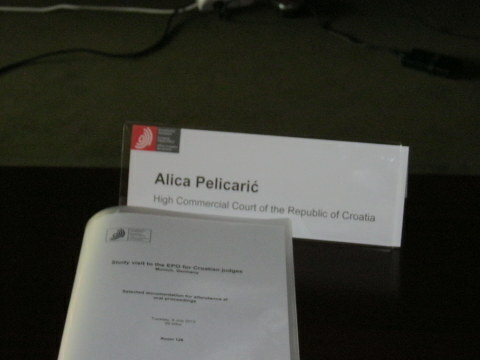 “To conclude, the actions of Željko Topić referred to above appear to fulfil the definition of criminal acts under Croatian law.”“In addition, it is suspected that journalist Zeljko Peratovic by the means of the same lawyer for the purposes of corrupt Mr. Željko Topić “briefed”, meaning gave professional advice, on how to sue his colleague Mrs. Slavica Lukic at the Croatian Journalists’ Association Court. She is a journalist (“Jutarnji list”) who wrote very critically about Mr. Željko Topić’s criminal activity. The lawsuit was dismissed. It was observed also that on two occasions that journalist Zeljko Peratovic on his portal www.45lines.com, in a twisted and questionable manner, criticizes journalist Mrs Slavica Lukic. This negative writing by the mentioned journalist about Mrs. Slavica Lukic has a political background, and is the act of shallow and see-through retaliation against her husband, Mr. Milorad Pupovac. “Finally, we wish to inform you about the perfidious way in which Mr. Željko Topić corrupts parts of the Croatian Justice (Commercial and High Commercial Court in Zagreb) where there are trials of high financial value within the scope of the rights of commercial property. We are enclosing photos with the names of judges. The photos were shot during the last year’s conference in EPO in Munchen. The invitation to the conference was sent by Mr. Željko Topić by means of EPO. 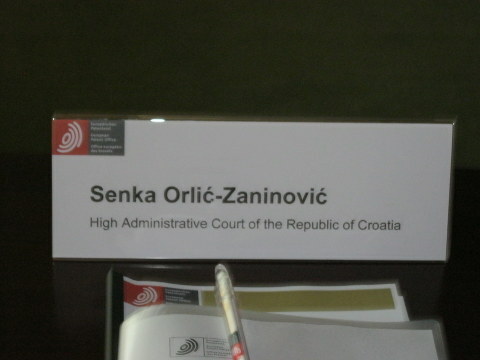 The names of judges from the photos are associated with several lawyers and make up a sophisticated network of corruption in Croatia.